I have been playing with glitter again! 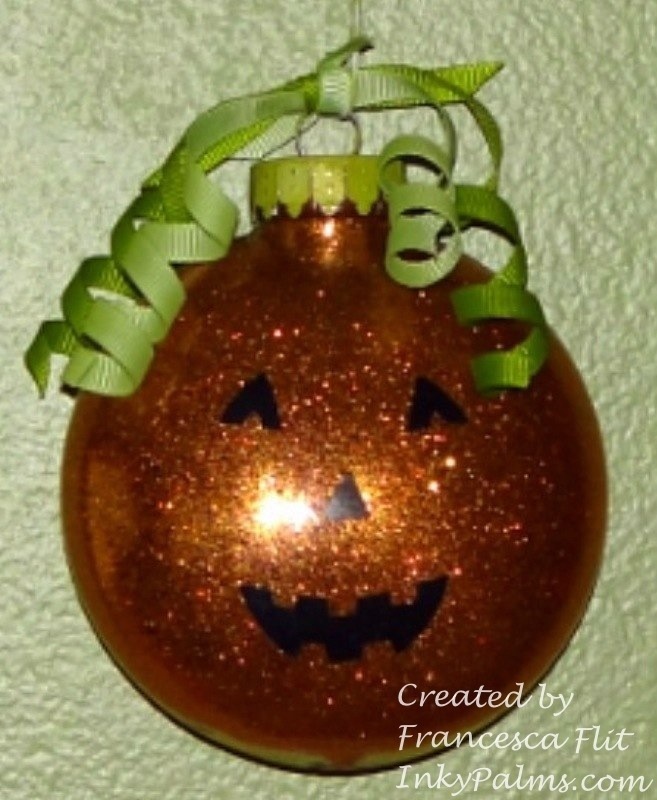 I made this Jack O’Lantern ornament with a large flat acrylic ornament, Martha Stewart Opal Fire Glitter and Jack O’Lantern Punch All Over the Page. 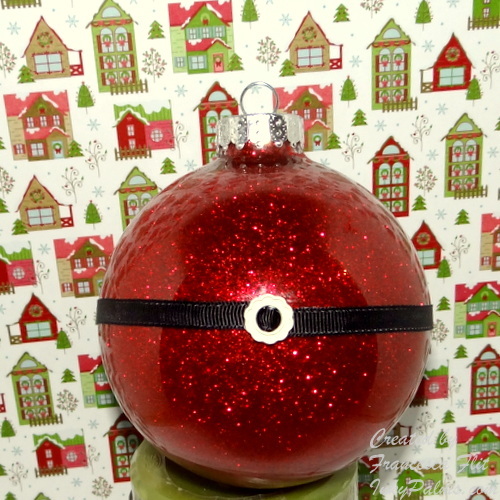 I spray painted the ornament top and added some ribbon curls to finish it off! 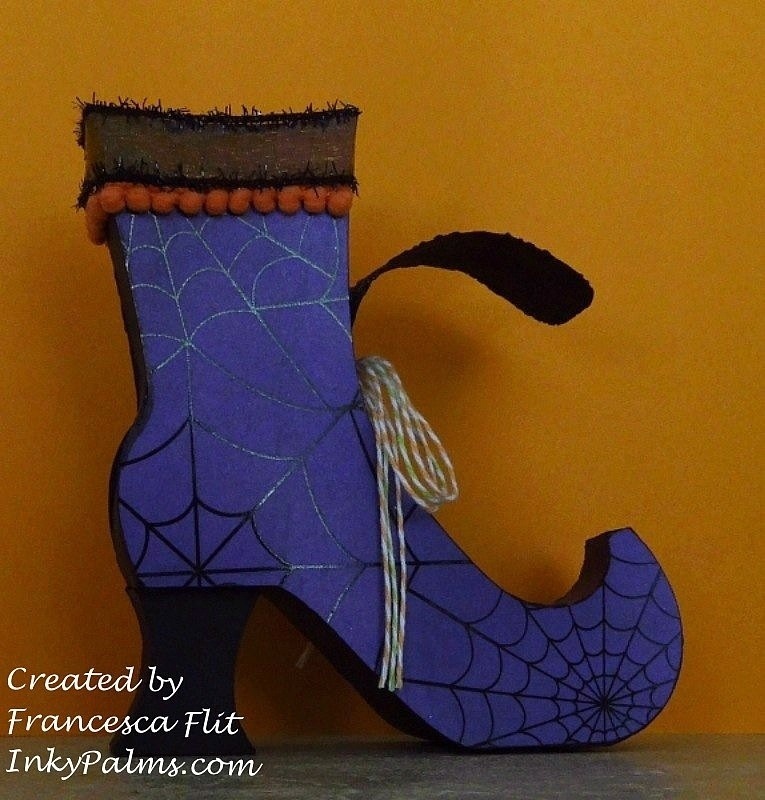 I think this Witch Boot by Snapdragon Snippets is adorable, but it is a bit of a challenge to assemble. I am not the most patient person, and this file requires boatloads! I am happy I stuck with it, the end result was worth it. If you want to tackle this project, I suggest using a little tape over the glued tabs, especially in the toe and curved areas. 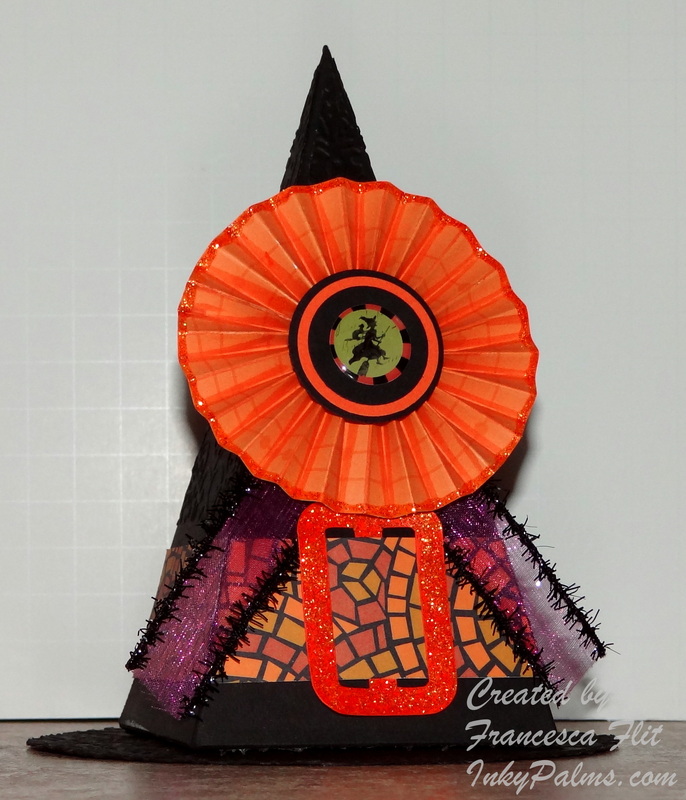 I just love this Witch Hat Treat Box from the SVGcuts Gimme Candy set. 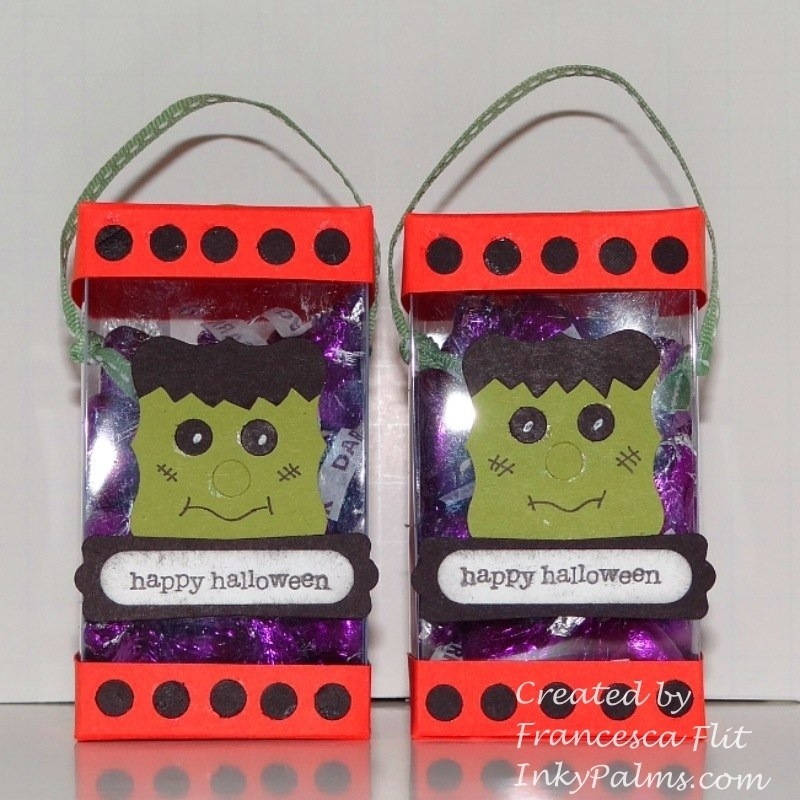 They are so much fun to decorate and so easy to put together! I made the rosettes using K & Company epoxy stickers for the centers. I think this argyle paper by My Yellow Bicycle is so cute! I don’t know why the plum photographed blue, it really is purple! 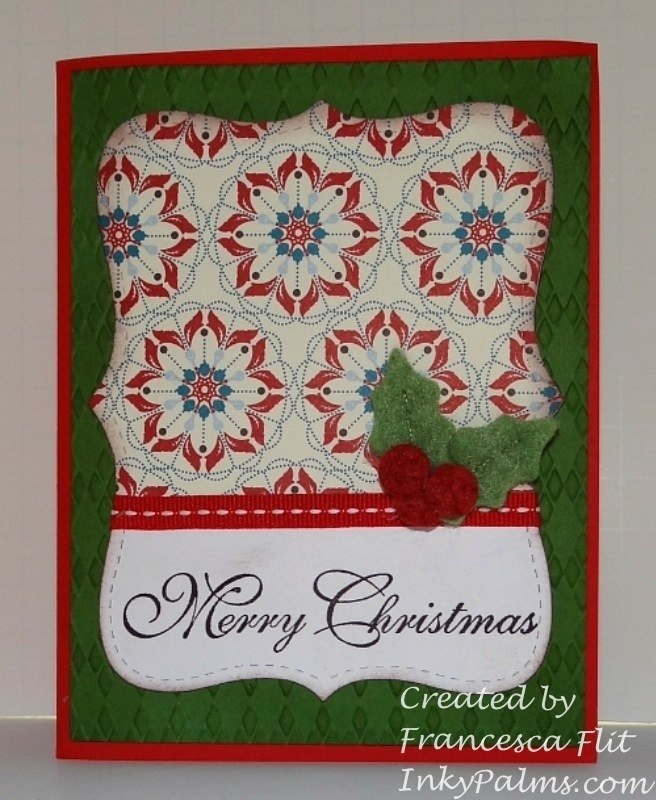 I love this mosaic paper from the old Stampin’ Up! 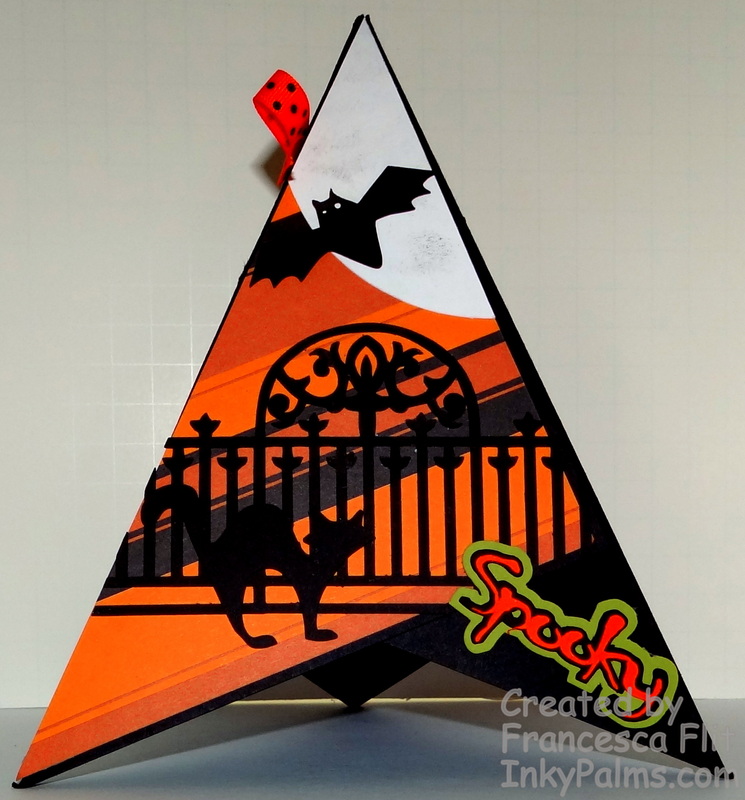 Creepy Crawly Designer Series Paper set. I am on my last sheet! I had some fun yesterday playing with glitter and here is the result! I think these glitter ornaments are so cute and they are so easy and fun to make. I bought my large clear glass ornaments at Michael’s, 4 to a pack for $4.49. And I am happy to say I actually used a coupon, now that I have the coupons on my phone, I always have one! I added a little grosgrain ribbon and ribbon slider to make this one a santa. These ornaments are really easy to make, so if you have never made one of these, you should give it a try! Floor Wax, I used Pledge Future Shine. You can use the wood or tile and vinyl finish, just make sure it is a finish, not a cleaner. 1. Remove the hanger cap from the ornament, add a little of the floor wax and swirl to coat the entire inside of the ornament. Try not to get too many bubbles, because this can leave a bare spot. Drain the excess back into the bottle. 2. Add the glitter. I used a small funnel which I wiped with a dryer sheet to keep the glitter from sticking. You can also use a paper funnel. Gently turn the glitter inside the ornament to coat the inside, you may need to add more glitter. Empty the excess glitter back into the container. 3. Decorate as desired or leave them as is, they are gorgeous even without any decoration! Let the ornament dry overnight before inserting the hanger back in and you are done. See, I told you it was easy! 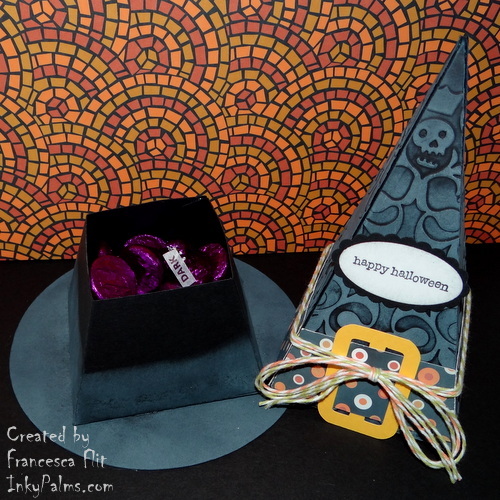 Isn’t this Witch Hat Treat Box adorable! I love that it is actually a little box, useful and so cute! 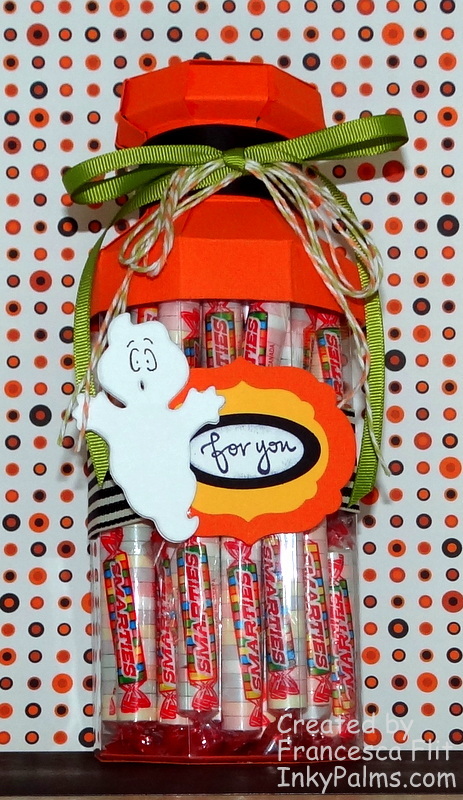 It is from the new SVG cuts set Gimme Candy, which was released last night. The set is free with purchase until next Thursday. The hat box was so easy and went together very quickly. I cut a second hat, cut the panels apart and embossed them to add a little dimension. I also inked the embossed panels with Whisper White. This was a quick project, but so much fun! I will definitely be making more of these! I am on a Halloween roll! 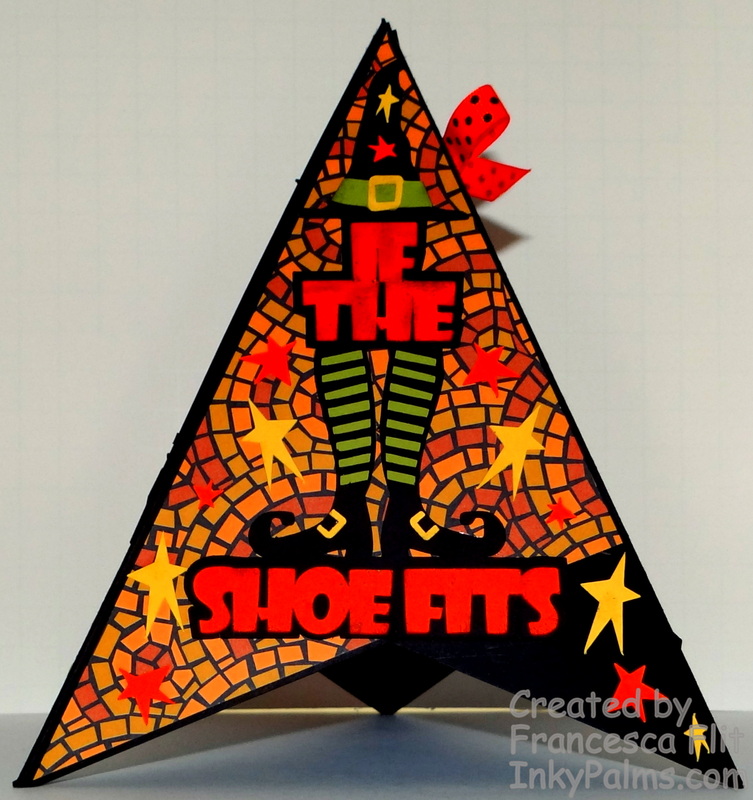 I had this lantern template in my stash and decided to recreate it in Silhouettes Studio. 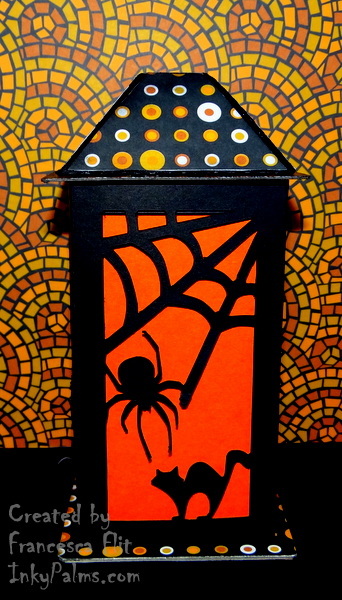 I added the cobweb, spider and spooky cat to make it a Halloween Lantern. I think I will make a few more of these to line my walkway on Halloween, just need to add a little orange tissue paper and some battery-powered tea lights! 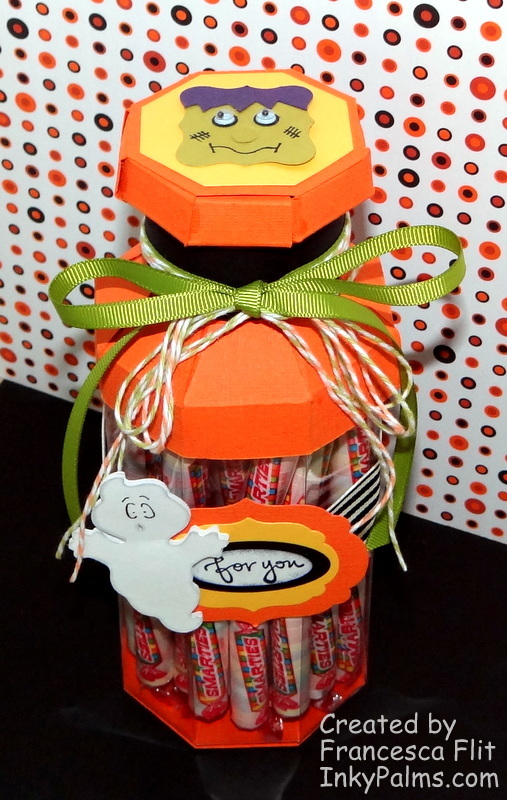 I love this cute apothecary jar cut file from the SVG cuts set Toil and Trouble and the tall version is the perfect size to hold two layers of Smarties, my daughter’s favorite candy! I decided to make it out of acetate so that she could see the candy inside. It went together pretty easily, I just hate using glue because I am so messy! The tabs on the lid are pretty small and you shape it as you go, so there was no way to use my ATG gun, so I had to use my Stampin’ Up! 2-Way Glue. I am going to make another one for my son also. He is not a big candy eater, so I’m not sure what I will put in it, but it is just too cute not to make him one! I have not done a challenge on Splitcoaststampers in a couple of weeks, so I decided to do today’s Ways to Use It Challenge WT393 Fancy Folds. 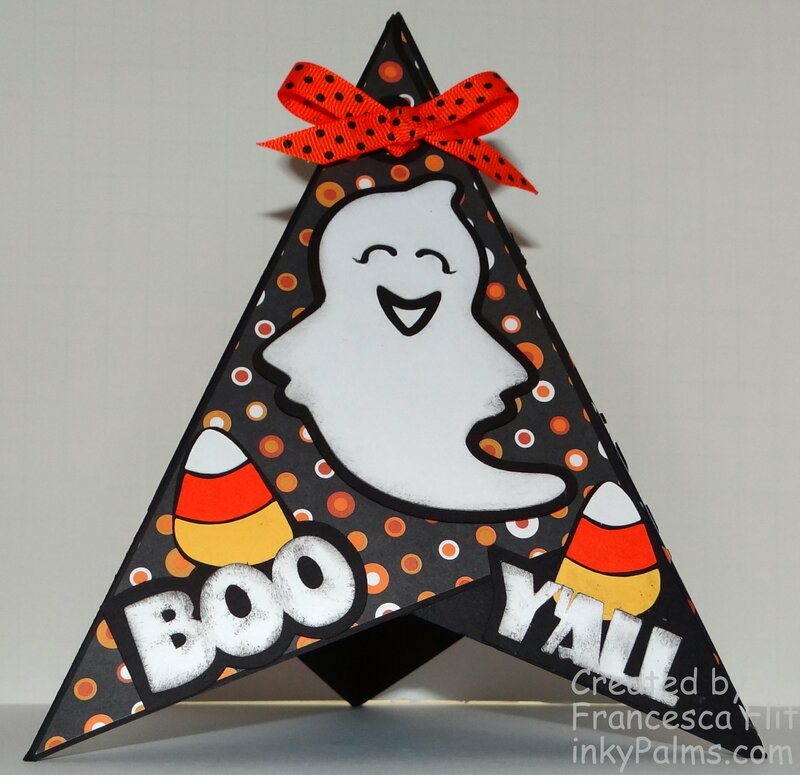 I wanted to make a halloween decoration to send to my daughter and I thought a Teepee Card would be fun. 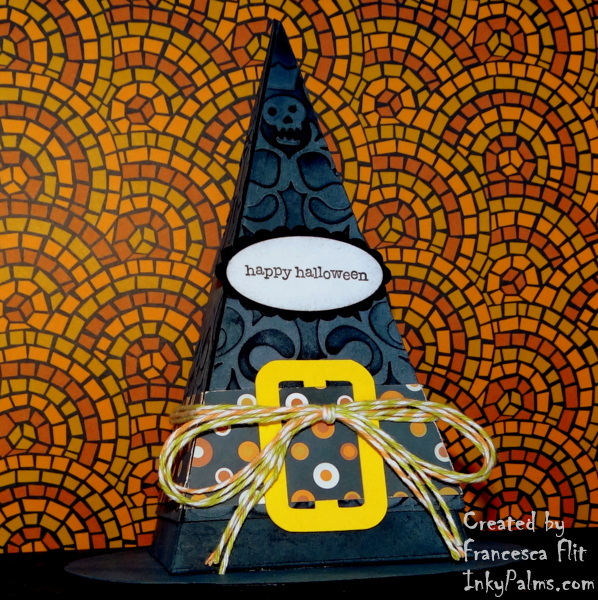 It is a really easy card to make and you get a lot of bang for the buck! I had so much fun decorating the sides and I am so impressed with how well the Gothic Gate freebie from SVGcuts cut even in that small size. I did a bit of slicing and dicing, this month’s challenge on the Silhouette Plus forum, to create the fence on either side of the gate. And look how thin the spooky font is, the Cameo cut it perfectly! 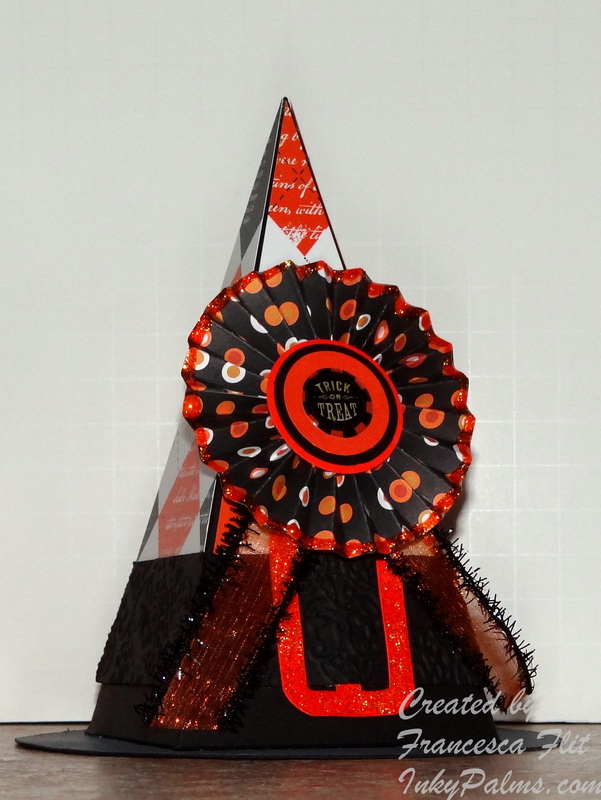 I am also submitting my Teepee card to the Out of a Hat Challenge: Halloween. 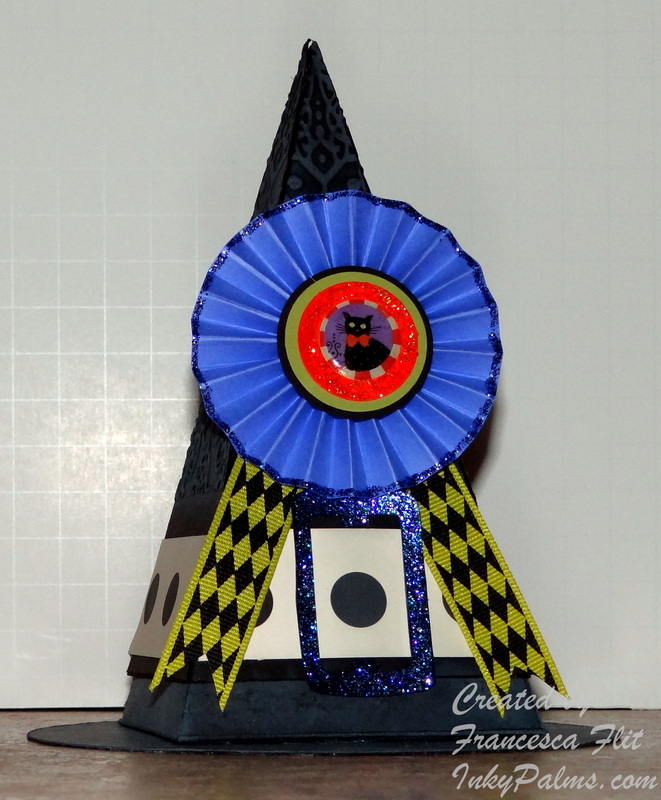 The Teepee card is really easy to make, cut 3 sheets of 6 x 6 cardstock, score diagonally, then adhere the cardstock back to back to create a tripod. I will post pictures tomorrow, with more detail, but now it’s time for dinner! While surfing the Internet, I saw a darling baby card that was a mobile. Try as I might, I could not find it when I searches for it, so I decided to try an recreate it. The card I saw featured 4 frames that stood like an X, with several hanging elements. I designed my card so that the frames attached to a card base. For this version, I only used 3 frames, creating a flat front. 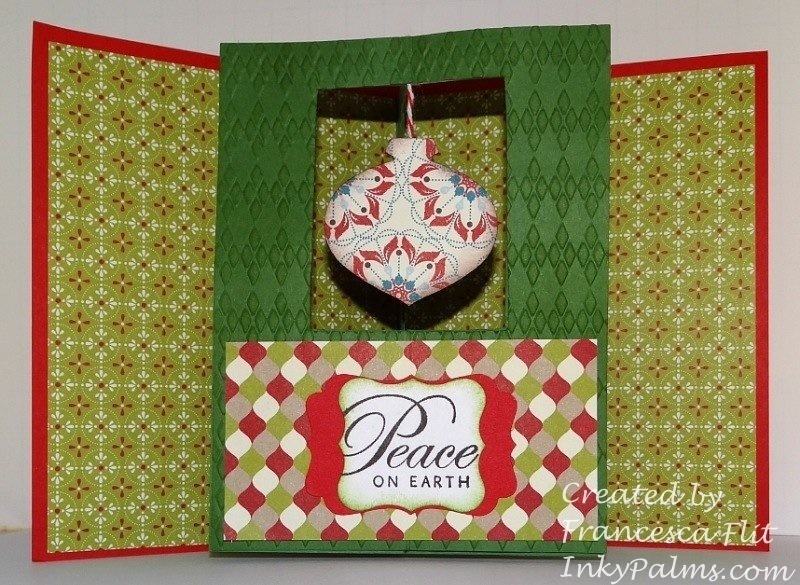 I created a cut file for the Hanging Elements Card, but I cut this one by hand for a Stampin’ Up! Only challenge.